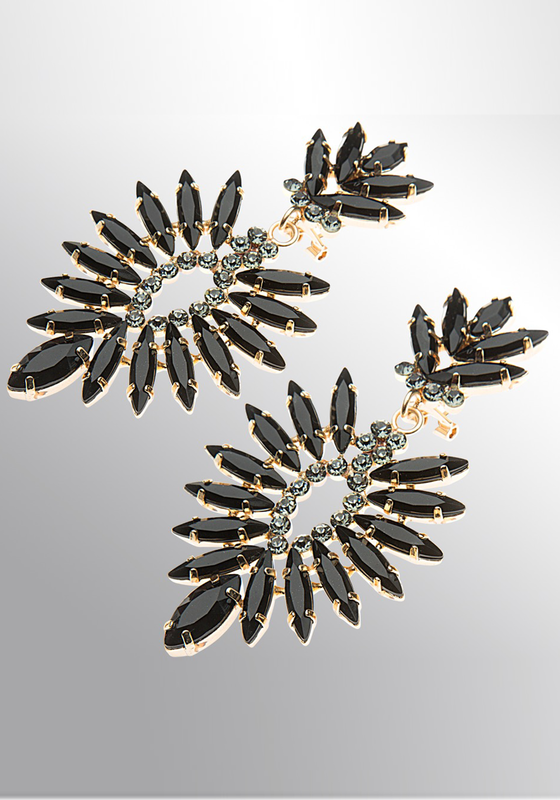 A pair of elegant earrings from the eShe jewellery range by Newbridge. 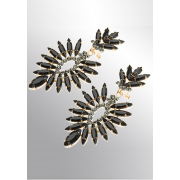 These drop style earrings feature a gold tone with black acrylic and clear glass stones settings. A timeless design that is perfect for a special occasion.